Today we talk to our most recent Writing Wizard contest winner, Ricardo Hillbrecht from Brazil. Every month in our course we have a writing contest, and we post the winning essay in our closed Facebook group. You’ll recognize his advice from other successful IELTS candidates, especially the high-scoring writers. His favorite author is Dan Brown, and he’s read every novel by him. Discovering an author you love is a love like no other. When I read an author I love, Stephen King, for instance, I feel like he’s talking directly to me. I see my own thoughts in his and his characters words. Not only do you gain this personal satisfaction, but it also raises your IELTS scores! One reason why Ricardo’s essay was the winner is that he used impressive, interesting, high-level vocabulary. He says that his amazing vocabulary comes from reading all types of news from a variety of sources, even Twitter, and the many novels he devours. What else helped him write such a high-level essay? Our course! 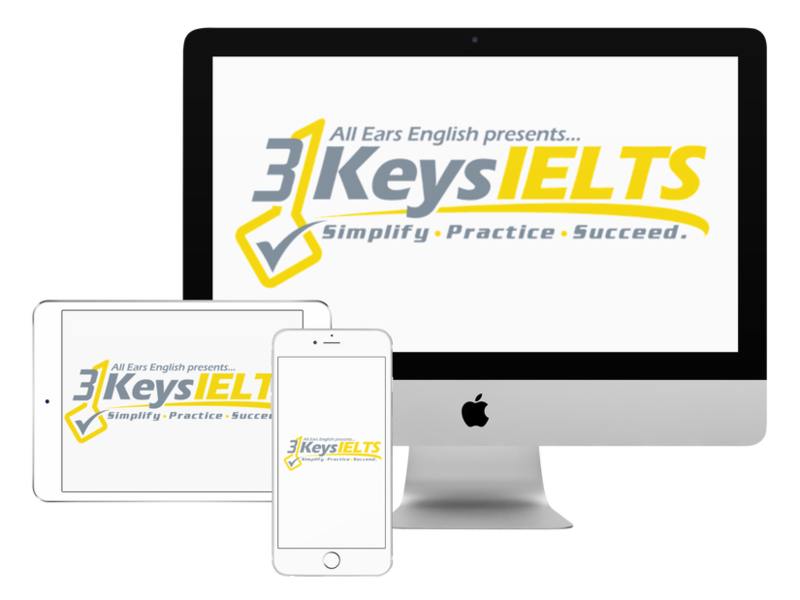 The 3 Keys IELTS Success System. In our Writing Module, the largest of all 5 offered in the course, you get easy to follow, high-scoring templates, also with inspiring sample essays. As Ricardo says, all you have to do is follow the template and plug in your ideas. Assuming, of course, you have ideas, which you get from reading! So, start cultivating your own culture of thinking by finding reading material that gets you excited, and raise those Writing scores! What do you think about today’s advice? Leave us your thoughts in the comment’s section below!